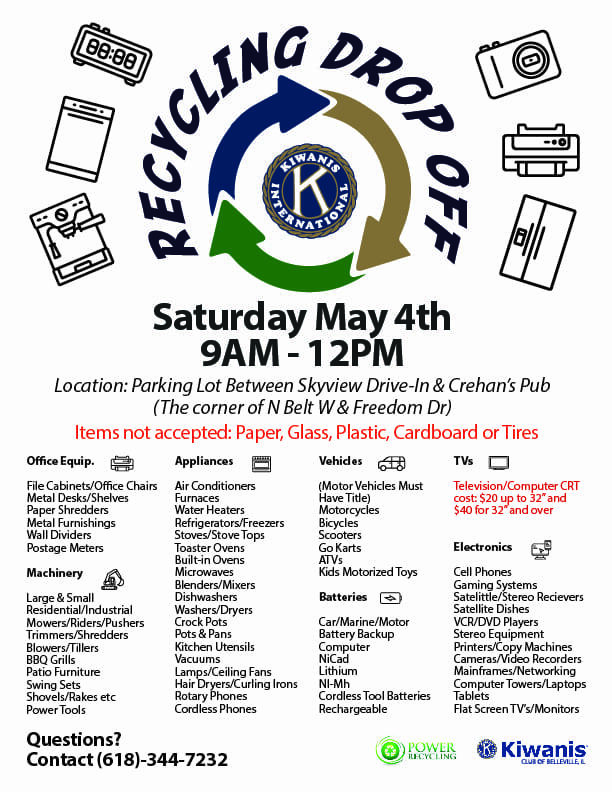 Power Recycling hosts a monthly recycling drive where we take all kinds of electronics, machinery, and appliances. 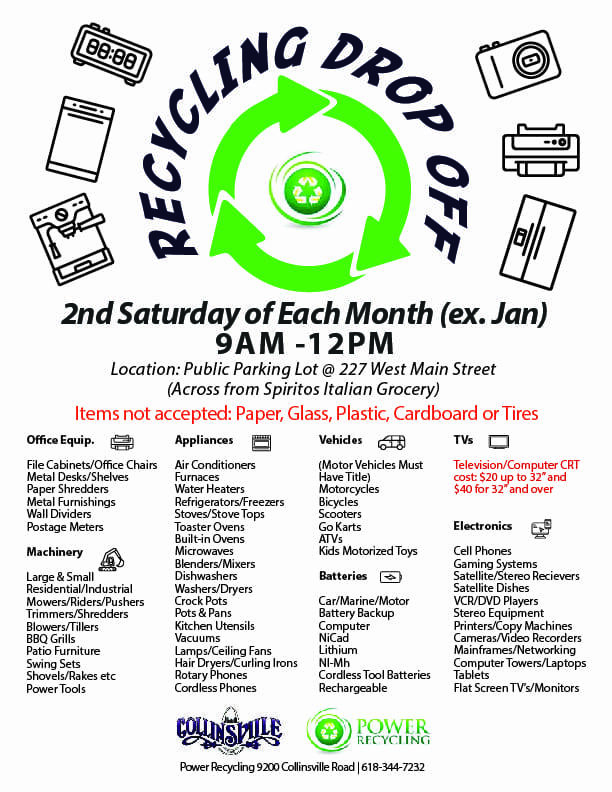 Every drive happens on the 2nd Saturday of each month (except January), downtown Collinsville @ 227 West Main Street (Across from Spiritos Italian Grocery) from 9AM - 12PM. 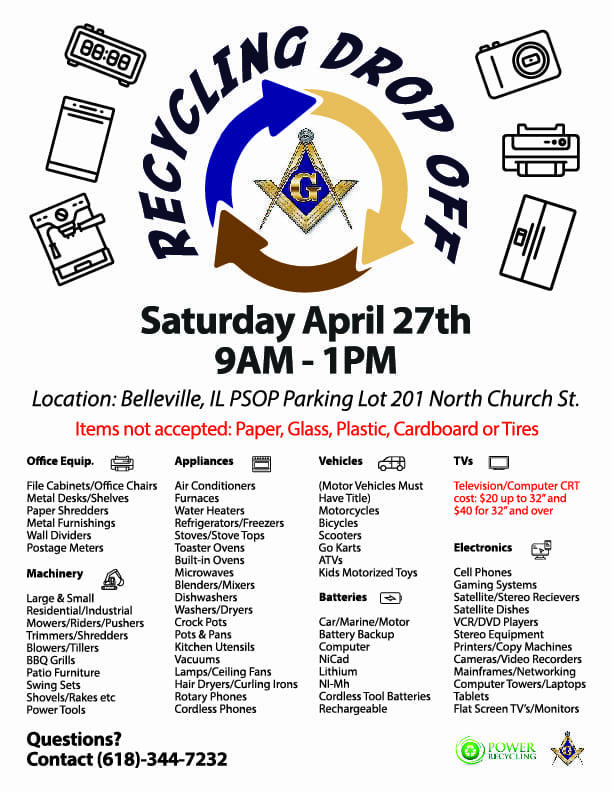 Items not accepted: Paper, Glass, Plastic, Cardboard or Tires. © 2019, Power Recycling. All Rights Reserved.